Close up of a Great Horned Owl at a rehab program. The strong bill is used for tearing apart large prey. 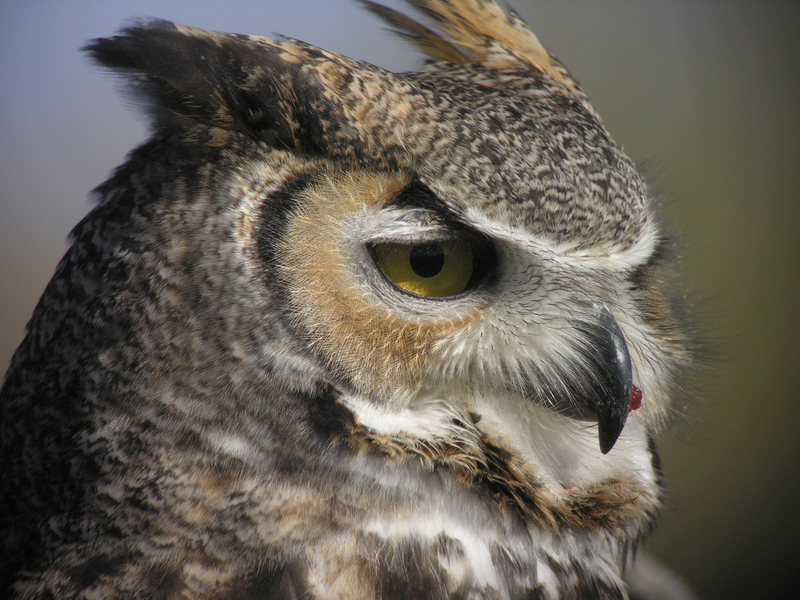 The Great Horned Owl is a fearsome predator, and is fond of taking skunks.